Pinterest, currently the 3rd most popular social media site on the web, is driving in more referrals than Google+, LinkedIn, and YouTube combined. Product-based companies everywhere are jumping on board the Pinterest train to showcase their products and drive users to their websites. 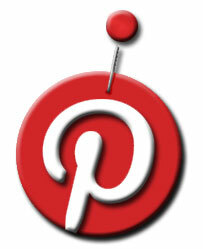 Service-based companies, however, are hesitant to use Pinterest. How can a business that sells a service utilize a visual, product dominated site like Pinterest? The answer is surprisingly simple. Showcase, (through infographics, photographs, print ads, screen shots, and pins created by other users) your company/brand’s image and personality. Pinterest users are spending an average of 97 minutes on the site with each visit, and they don’t want to be bombarded with an advertisement, sales pitch, or facts about your company. With the help of graphics, you can talk about your company and your work, without actually “talking” about it. Create pinboards that will give users an idea of what your company does, what you like, and who you are. If you are a roofing company, pinboard titles could range from “work” (before and after photos of jobs you have completed), “meet the crew” (photos of your employees and/or their families), “do-it-yourself tips and tricks”, “for the home” (decorating ideas and tips for inside and outside your home), and gardening. Each of these boards are related to your business (directly or indirectly), and lets users see what your company is about, without being “sales-y”. As with any other social media site, you should be promoting Pinterest through other social networking channels, and engaging with your followers. Add the Pinterest follow button to your website, mention your account in a Facebook or Google+ post, tweet about it, or talk about it in your blog. If a follower comments or re-pins anything you upload, show them some love as well. Take the time to comment, like, re-pin, and follow their boards and pins. This not only opens opportunities for exposure, but shows that you care about what other people are putting out there as well. Whoever said “a picture is worth a thousand words,” nailed it on the head. Stop thinking about getting a Pinterest account, and just do it. Happy pinning! Need help? Drop us a line.